You may remember meeting Young Jee earlier on this journey, but if not, you can read about him here, here, and then here. 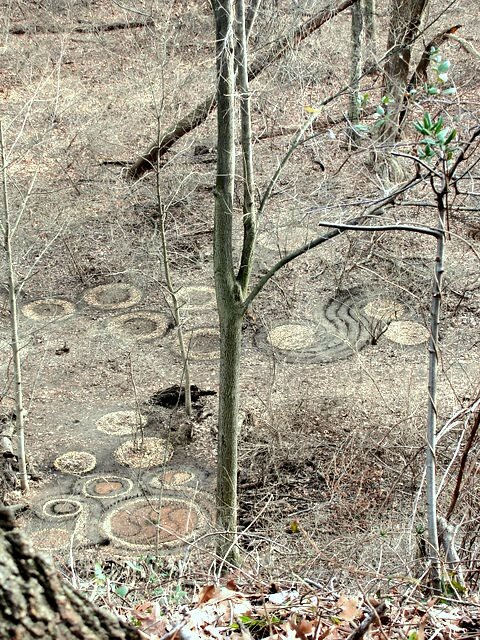 Anyway, he just emailed me some photos of his creations (including this one of his recent work taken from high up a nearby hill), as well as a few shots of his feathered friends from Inwood Hill Park. I've posted some of my favorites in a set on Flickr for your viewing pleasure.